Brewing with brettanomyces, or even 100% brettanomyces, is now quite popular in craft beer brewing. In wine making, brettanomyces is considered a “fault,” even among many natural wine makers. ... I have tasted a number of wines where the presence of brettanomyces was unmistakable — in some wines I agree that it impoverished the wine, in others I think it positively amplified the dark, brooding, and rustic character of the wine. As far as I am aware, unlike beer drinkers, wine drinkers never express an explicit liking for brettanomyces. You know how wine bottles are usually marked with the warning "Contains Sulfites"? That's all about brett: sulfur is applied in the vineyard to reduce its growth, and wooden barrels that wine is aged in are fumigated with sulfur dioxide to keep it from hiding in the wood. 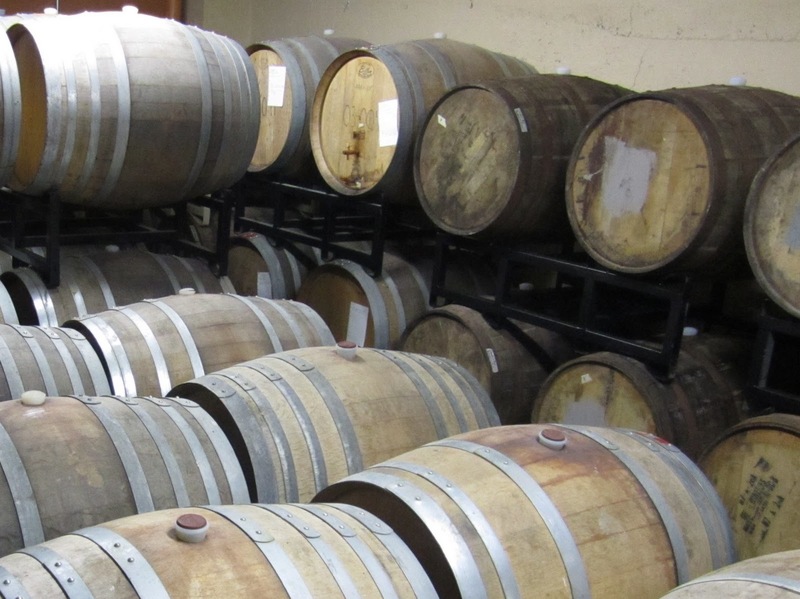 Almost every article written about Russian River's brett-slinging brewmaster Vinnie Cilurzo -- ironically a former winemaker -- mentions the antipathy of vintners towards brettanomyces (here's one that's larded with such anecdotes). On the beer side, all the cool kids are doing brett. It's a bit more nuanced than that: sour-beer powerhouse Cascade Brewing doesn't intentionally use brettanomyces, though they've served up beer that caught a dose from a wanton barrel; similarly, though Deschutes dabbles with brett in some sour ales, they have also offered to buy back 2009 bottles of Abyss and Mirror Mirror, many of which are apparently unintentionally tainted with brettanomyces. And brett's beer history is not restricted to avant garde Belgian-style sour beers: before the funky yeast had a name, 110 years ago, its musky flavors were apparently prized in British Pale Ales -- which today we think of as very clean, straightforward beers. To get back to the original point, it strikes me as strange that sour beers -- many innoculated with brett -- are often touted as a way to get wine lovers interested in beer, whereas brett influence is usually considered an off flavor in wine. In the quote above, Aschwin hypothesizes that wine drinkers don't explicitly appreciate brettanomyces. Is that just because they aren't aware of what causes certain earthy flavors in wines they like? You could easily imagine that the lingering taboo against brett in wine circles would keep its presence from being acknowledged. That may be changing, though. Read this 2003 article from a wine magazine about brettanomyces: it includes an interesting story about a collector who sent samples of two vintages of Château de Beaucastel to a lab which confirmed that they both contained a great deal of brett. Apparently the infected vintages had a complexity that appealed to a lot of wine connoisseurs. In the article on Brettanomyces on Wikipedia -- sorry to play that card, but bear with me -- brett is mentioned as an important part of the character of two wines: Château de Beaucastel mentioned above, and Château Musar. Beaucastel is a well-respected Châteauneuf du Pâpe from France's Rhône Valley; Musar is an obscure wine from Lebanon's Bekaa Valley. I'm not a big wine drinker, but I actually have tried several very nice vintages of Château Musar's red wine, thanks to a wine-loving friend of Middle Eastern descent who is a big fan. It's a fascinating wine with a beautiful light red hue, slightly dry but not tannic, and a fruit flavor unlike anything else in my limited wine experience. When I last tried it a few years ago, I knew nothing of brettanomyces, but now I wonder if that contributed to the unique flavor. My friend's assertion that vintages less than 10 years old were not ready to drink may be more evidence that slow-growing brett is an important part of Musar's profile. If you're interested in exploring brettanomyces in wine, I see Château Beaucastel on the shelf all the time in Portland, though you might want to cellar it a while to get the most effect. As for Château Musar, Ya Hala Lebanese restaurant at SE 80th and Stark had it on their wine list as recently as six years ago, though they wouldn't admit to having any the last few times I've been there. At about that time, my friend bought a case of Musar at Vinopolis downtown, so you might be able to find it in better wine shops, though again, it's best after 10 years or so.